Some people believe vegetarians can’t build muscle just like those who don’t mind eating meat. At first sight, this seems logical, as muscle building requires protein intake. Protein can be found in meat products, so by eliminating them from your diet, you are never going to be able to have the body you aim for. Nonetheless, this has been proven to be just another myth, as there are also protein-rich vegetables one can eat in order to have a well-balanced diet. This article will take a closer look at a possible muscle building diet for vegetarian people you can customize and try for yourself. First of all, you need to be aware that not all vegetarians and vegans are alike. While some of them call themselves vegetarians only because they eliminated meat from their diet in favor of processed crap full of chemicals, others do take care what they eat, trying to choose as many fresh vegetables and fruits as possible, and leaving aside less healthy foods our modern world tempts us to eat. Breakfast should be the most important meal in any effective muscle building diet for vegetarian individuals. This meal should be carefully designed in both quantity and quality terms. You can eat tofu scramble with oatmeal and berries or other fresh fruits, you can add avocado, spinach, mushrooms or any other vegetable of your choice, and you can make your own combinations and original recipes starting from such ingredients. The other important rule for an effective muscle building diet for vegetarian people is to replace all oils in your meals with nuts and seeds. The reason is very simple: oils don’t contain any protein, while nuts and seeds do. The fact that you can’t build muscle if you don’t eat enough protein is true, so you should implement this into your diet plans. Cashew butter, almonds and pumpkin seeds are all awesome alternatives to oil in various salads. They are tasty and nutritious and they can provide you the needed amount of protein for fast and consistent muscle building. Balancing various food groups is also important when trying to gain muscle on a plant-based diet. Raw carrots and other vegetables like this are very healthy, but you need to scale back a little on them in favor of more nuts, seeds, grains and beans. We can say beans are the golden food in such diets, as they are full of protein and they fill you up quite well. They are your best source of protein, so you should have cooked beans available at all times in your home. You can use canned baked beans, they are healthy, tasty and extremely convenient. As you can see, you don’t have to spend more time in the kitchen than meat eaters. When on a vegetarian or vegan diet, you should consider supplementing when necessary. 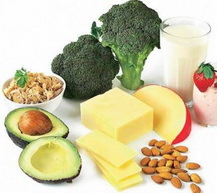 You might have deficiencies of zinc, selenium, vitamin D, vitamin B12, carnitine and taurine. You can fix such issues by taking a high quality nutritional supplement. Another thing to remember for an effective muscle building is that protein shakes are perfectly safe and good for you. They can boost the effectiveness of your workouts, so that you can achieve the desired results just like anybody else who eats meat. Being vegetarian doesn’t mean you have to be skinny for your entire life. By finding the right food combinations, you can build some lean muscle and shape yourself in an amazing way. Protein shakes are part of this process, so choose some high quality ones and take them as recommended. If you want, you can ask a professional trainer for advice, so that you can be positive you are on the right track. You can also check the video below for more tips on muscle building diet for vegetarian people. « Erase Chronic Pain Review – Is This Program For You?